Here at Art Division, we're big fans of online tools that make our lives easier. Here are some of our favourite sites that help us be more productive, and get things done faster ! 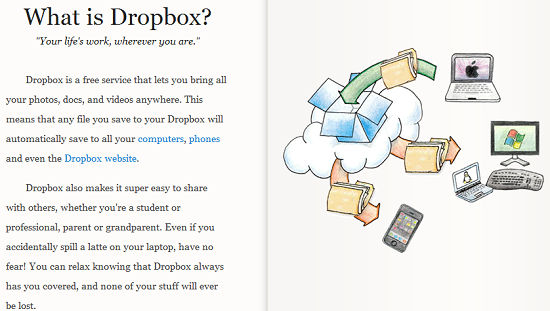 Dropbox is great because it means you can save your files on one device (a laptop for example), and then from any other computer/ smartphone, access or download these same files. Great when you're working on multiple devices, or in close collaboration with someone in another office. Goodbye to those endless e-mail attachments ! Ever have the occasional argument heated discussion on which radio station to have on in the office? Spotify may be the answer. You can create a radio station based on your own music tastes - or indeed browse from thousands of playlists already created. The first basic account level is free, if you want to skip the ads you can go premium. It really is that simple. So for example you could set up every photo you take on Instagram to be saved in a specific folder in Dropbox (as illustrated below). Ifttt can be used with Facebook, Twitter, Facebook Pages, Blogger, e-mail, dropbox and many more. bitly allows you to shorten links, share them and track the click-throughs. It definitely saves space and makes them look a lot prettier. It's also handy to be able to monitor how many people are actually clicking through on the links you share. Who wouldn't want to transform https://www.google.co.uk/search?sugexp=chrome,mod%3D18&q=weather+today+london&um=1&ie=UTF-8&hl=en&tbm=isch&source=og&sa=N&tab=wi&ei=t8_ZT5G1IdCA0AXNw-G3BA&biw=1366&bih=667&sei=vM_ZT6GQF-mp0QXv6_iOBA into http://bit.ly/MIuYmK ? If you spend half your monrning traipsing around blogs, trying to catch up on the latest industry news, paper.li is for you. It allows you to collate all together all of your favourite news feeds - whether they be blogs, Twitter feeds or Facebook pages. A great way to source content quickly for a Twitter update or Facebook post. 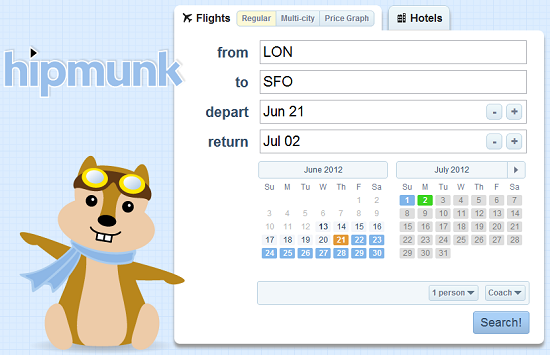 Finally, when it comes to 16.30 the end of the day and you're ready to start planning your summer holiday, Hipmunk is a great way to find the cheapest (or most convenient) flight. After selecting your place of departure and arrival, and popping in your dates, hipmunk displays all the flights, from every airline. You can then sort them by price, duration, agony and departure/ arrival times, and then, after selecting your chosen flight, hipmunk shows all the possible sites you can purchase it from.